Pilsbry, 1910, Proc. Acad. Nat. Sci. 61: 538, pl. 27, figs. 3-4. 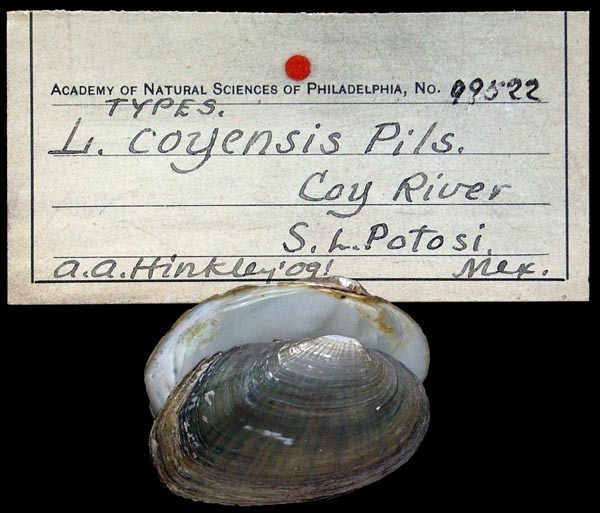 Type(s): SYNTYPE ANSP_99522, Coy River, S.L. Potosi, Mex.